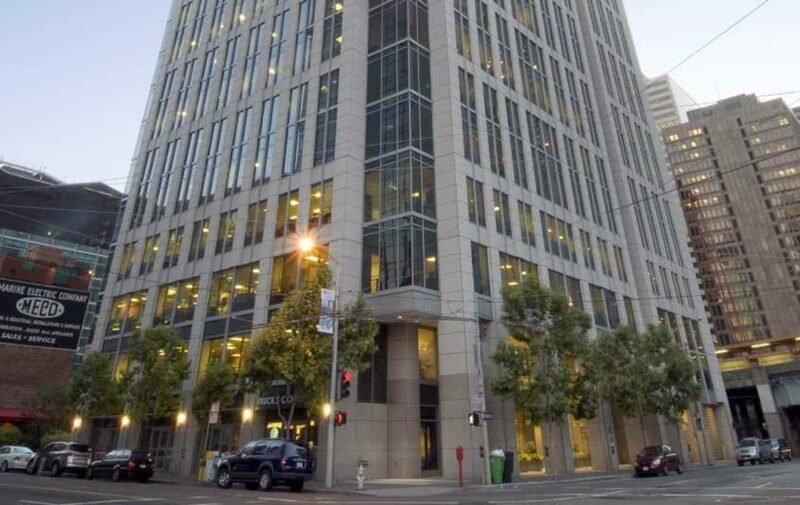 199 Fremont is a Class A high-rise office building located South-of-Market in downtown San Francisco. The building features a granite and glass curtain wall with metal accents. The first three stories have a hand-set granite stone base and the lobby features structural glass entries and storefronts. The site also includes an outdoor poetry/sculpture garden and a child care center, as well as the historic Marine Electric Building, which contains Town Hall restaurant and a child care facility.